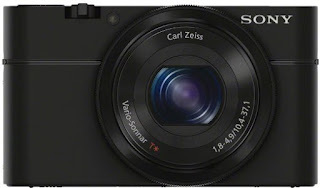 Amazon is giving 10000 Rs Discount on Sony Cybershot DSC-RX 100 20.2 MP Point and shoot camera for capturing full HD videos and images in no time. Market price for Sony Cybershot DSC-RX 100 is 34,990 Rs, but for today, amazon giving almost 10000 Rs discount and you can buy in the lowest price of 24,999 Rs. For more awesome deals and freebies, don't forget to subscribe to All india coupons.